Cray is known for selling massive machines to government agencies, but its Urika-GX system is made to help companies — and one baseball team — understand their big data. Seattle-based Cray announced a new supercomputer Tuesday that appeals to commercial customers, a booming market for Cray. The company, long known for selling massive supercomputers to government agencies, said its new analytics-focused product will help big companies better understand their huge amounts of data using the power of a supercomputer. Cray said 15 percent of its revenue in 2015 came from sales to businesses, double the percentage from 2014. The new Urika-GX system is industry standard-sized — meaning it will fit into traditional server spaces for businesses. Cray’s computers are usually housed in a series of larger-than-average cabinets. “Enterprise customers are running into the same kinds of problems that traditional supercomputing customers are,” said Ryan Waite, Cray’s senior vice president of product. Waite pointed to the massive amounts of data that businesses collect. The Urika-GX system helps companies quickly sort and understand their data. An earlier version of the Urika line is used by a Major League Baseball team to evaluate its baseball analytics. Cray does not disclose which MLB team is its customer. “The hard part (for companies) is no longer storing data; the hard part is getting something valuable out of the data,” Waite said. 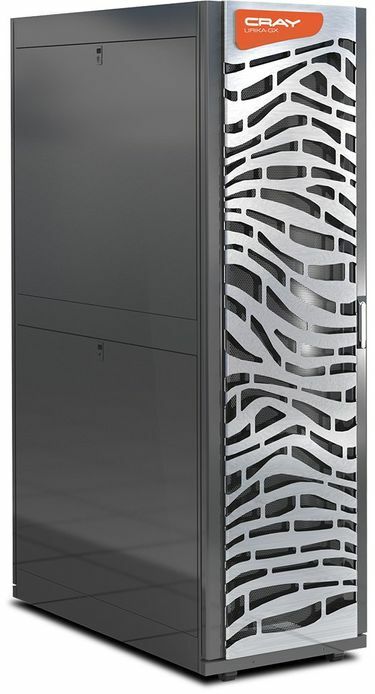 Cray’s newest supercomputer will go on sale this summer. Each of the cabinets on Cray’s supercomputer will cost in the thousands of dollars. Most customers buy a minimum of 16, meaning the cost would be in the tens of thousands of dollars.